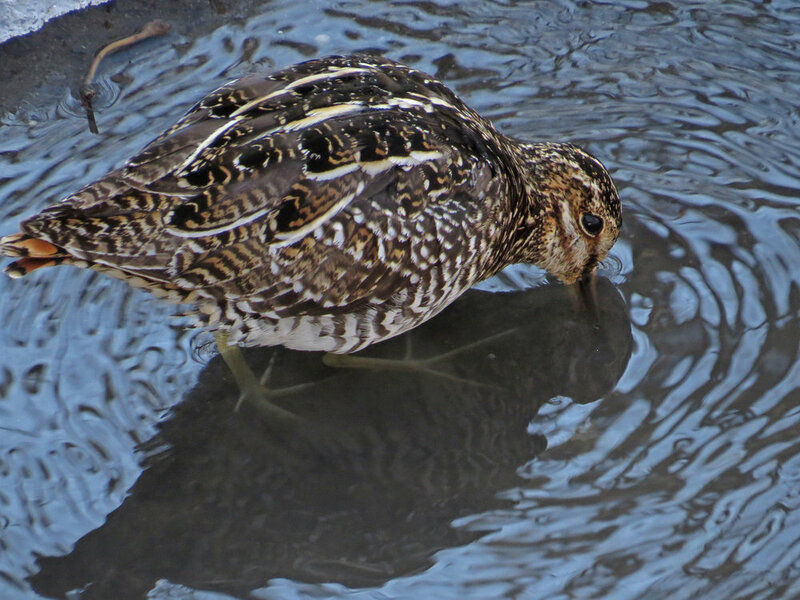 Central Park is visited by a Wilson's snipe (Gallinago delicata) every now and then. 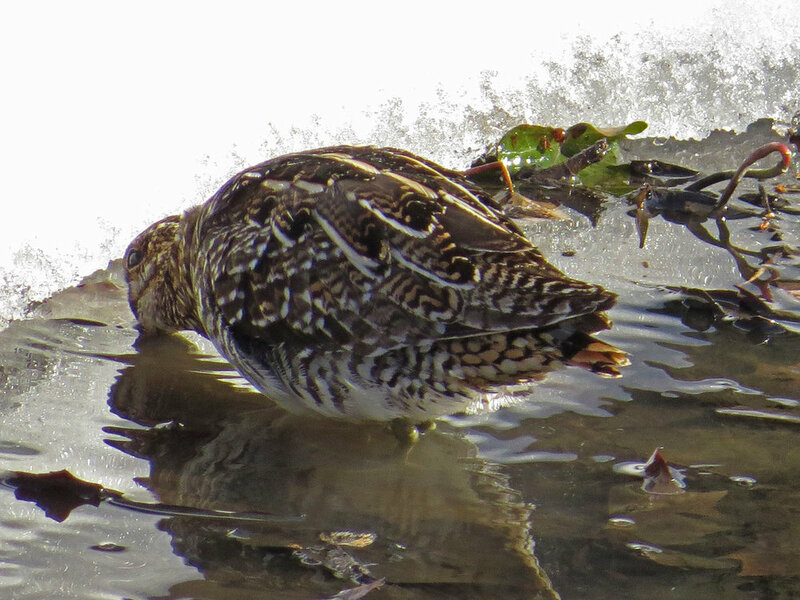 The best chance I've had to see one came on March 16 and 17, 2017, when a visiting snipe was bouncing and bobbing at Triplets Bridge after a snowstorm. Often these birds are hiding out in dense underbrush, but in the snow this one was very visible. 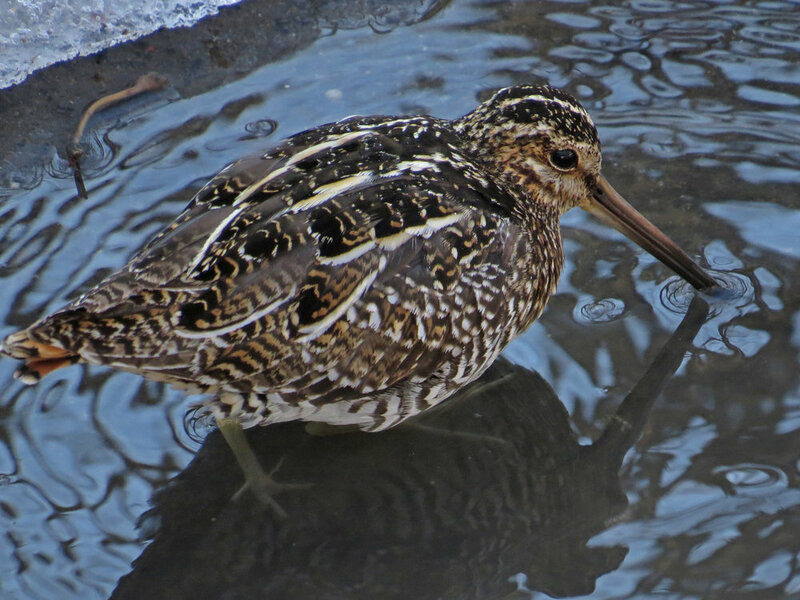 I posted two Filming the Feathers videos of this snipe, both set to music by Charles Gounod. This first set of photos is from March 16, 2017. These photos are from March 17, 2017. Wilson's snipes have visited Central Park in the past, but the photos above were the best I have been able to take. 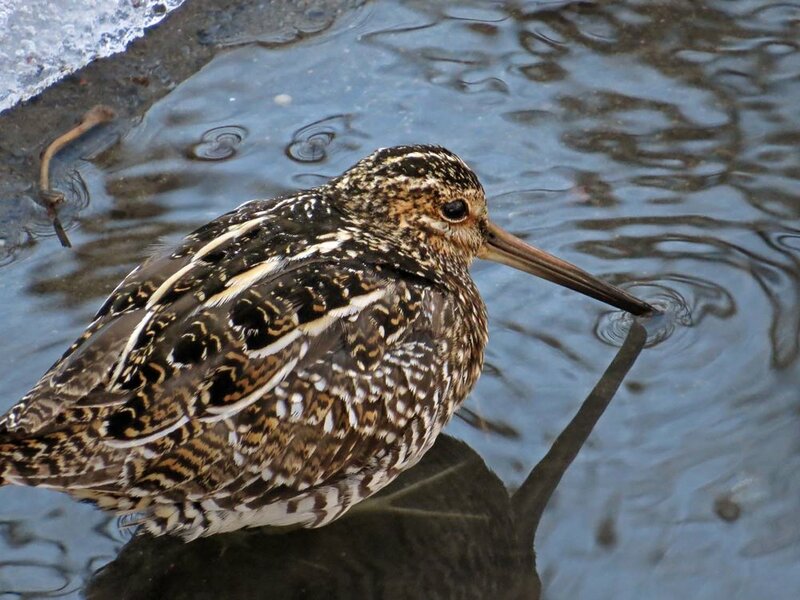 One Wilson's snipe visited on April 10, 2014, and I include a very grainy photo here as part of my record.